Sharp’s new MX-3110N color series document system combine the simplicity of touch-screen menu navigation with robust multi-tasking workflow features that can elevate your office productivity to new levels. Sharp’s new MX-3110N color series document system combine the simplicity of touch-screen menu navigation with robust multi-tasking workflow features that can elevate your office productivity to new levels. A large 10.1″ (diagonally measured) high-resolution tilting, touch-screen display offers groundbreaking real-time image preview with intuitive flick and tap editing to help ensure your documents are produced accurately and without waste. 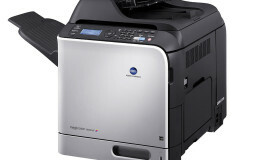 The new multifunction MX color series is more than just a copier; it offers many advanced features such as a fully customizable home screen, dynamic action menus that provide feature-specific guidance, and a full-size retractable keyboard for easy data entry. 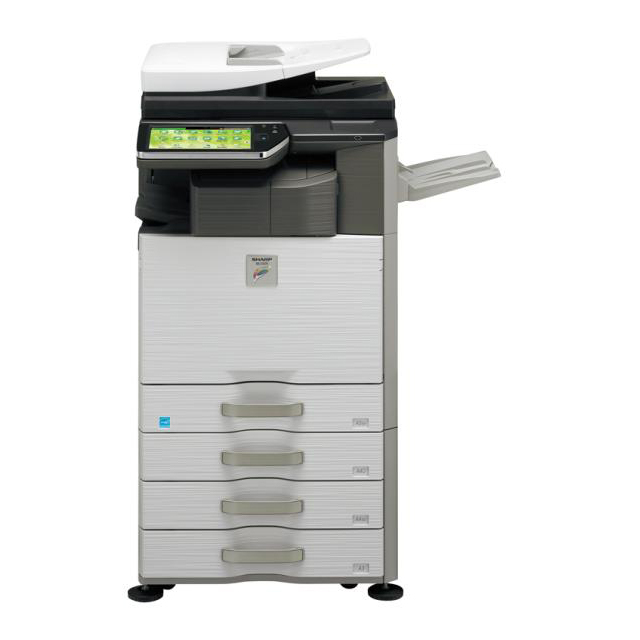 Plus, with Sharp’s enhanced second-generation micro-fine toner technology and true 1200 x 1200 dpi print resolution, these new multifunction copiers can help your business produce professional looking color documents in-house with breathtaking image quality that is also economical. The new MX-3110N color series multifunction copier has been built on the latest Sharp OSA® Development Platform, making integration with network applications and cloud services easier than ever. And, with Sharp’s industry leading security platform with standard 256 bit data encryption and overwrite protection, you can rest assured that your intellectual property is well protected. 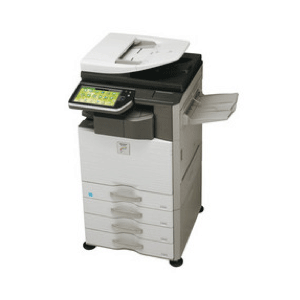 The MX-3110N multifunction copier supports Sharp OSA technology, which streamlines document workflow and enhances productivity by allowing users to have bi-directional interaction with network applications right from the machine LCD panel.